A young man who spent a violent three years in jail at Rikers Island without ever being convicted of a crime reportedly committed suicide this weekend. He was 22. 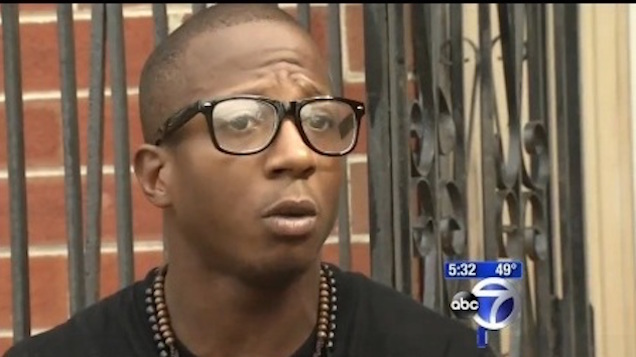 Kalief Browder, then 16, was arrested in 2010 for allegedly stealing a backpack. Video surveillance from his three years behind bars—without ever being convicted of the crime—showed prison guards brutally beating him on multiple occasions. Browder was eventually released in 2013 after the charges were dropped, but the damage was already done, the New Yorker reports. During that time, he endured about two years in solitary confinement, where he attempted to end his life several times. Once, in February, 2012, he ripped his bedsheet into strips, tied them together to create a noose, and tried to hang himself from the light fixture in his cell. In November of 2013, six months after he left Rikers, Browder attempted suicide again. This time, he tried to hang himself at home, from a bannister, and he was taken to the psychiatric ward at St. Barnabas Hospital, not far from his home in the Bronx. When I met him, in the spring of 2014, he appeared to be more stable. Last Monday, Prestia, who had filed a lawsuit on Browder’s behalf against the city, noticed that Browder had put up a couple of odd posts on Facebook. When Prestia sent him a text message, asking what was going on, Browder insisted he was O.K. “Are you sure everything is cool?” Prestia wrote. Browder replied: “Yea I’m alright thanks man.” The two spoke on Wednesday, and Browder did seem fine. On Saturday afternoon, Prestia got a call from Browder’s mother: he had committed suicide. He was found dead hanging from a hole in the wall intended for an air condition unit, the New Yorker reports.